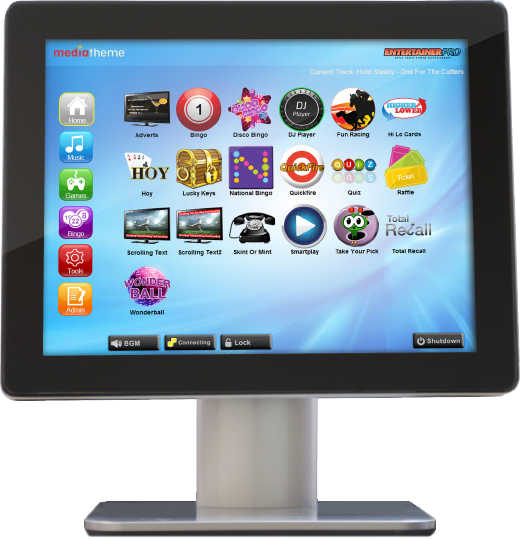 We provide reliable, exciting and profitable touchscreen entertainment system and services for our customers across the pubs, bars, hospitality, holiday parks and entertainment sectors. An experienced sales team, accredited engineers and a committed support team ensures that each and every system is perfectly installed and supported. We’re backed by an experience Research and Development team of product development engineers, who ensure our product range of entertainment system and jukebox systems remain innovative business propositions for our customers, meeting constantly changing market requirements as technology, social habits and tastes evolve. The Entertainer™ touchscreen entertainment system is an interactive powerful and effective business tool that provides the pubs, hospitality, leisure and holiday sectors with an endless flow of fun, events, and great entertainment for their customers. Ord House Country Park, Berwick. Nestled in the beautiful grounds of a striking 17th century Berwick manor house, Ord House Country Park is an award-winning holiday centre with over 400 caravans on site. Owner Steve Dixon is kept busy providing entertainment for the many thousands of tourists he accommodates each year, as well as managing a steady calendar of events for local customers. Steve uses his Entertainer™, to provide most of the entertainment in his venue. Ord Park is ideally located near to Northumberland’s striking coastline, and the stunning setting, coupled with Steve’s state of the art entertainment system, provides holiday makers and regulars with an unforgettable experience. Steve’s venue is split into three separate rooms, each containing a feed from the Entertainer Pro™ and high tech audio visual equipment – and each able to create a distinctive atmosphere. Steve has held some excellent charity race nights, games nights and children’s mini-discos over the last year, and stages a popular karaoke disco every Saturday night, but he uses the Entertainer’s™ comprehensive music programs and advertising suite every single day. The staff have their own favourite play lists, and there are ‘Essential Sunday’ and ‘Disco Night’ compilations ready to go at the touch of a button. Steve makes the most of the Advert Manager and the new backgrounds he receives on his update discs each month. As well as promoting his own forthcoming events, menus and specials, he is also set to start charging local business for displaying their advertisements, after running free trials. The venture has also proved a financially sound decision for Steve, who reckons the system (please read the quote below).. The Entertainer™ system is installed in Nightclubs and music venues around the UK, providing the perfect mix of music for party nights, theme nights, and music events. The Entertainer™ system has proved the perfect piece of kit for children’s parties and events, as well as for providing background music. Users have found it ideal for karaoke, fun games, and discos, and even for DJ-ing events for older children. Twice the fun now half the price. Call us now on 01572 771 363 OR CLICK HERE. Change the way you manage your venue with an easy-to-use, powerful touch screen system. 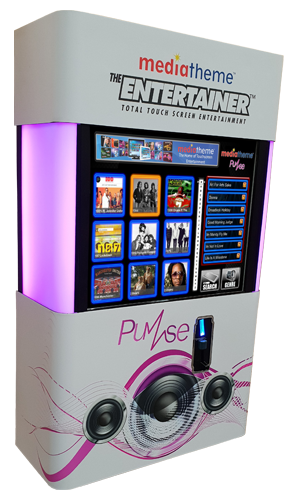 The Entertainer™ is a powerful, effective touch screen tool that will help grow your business, while delighting customers with an endless flow of fun events and great entertainment. It’s the UK’s No1 entertainment system. 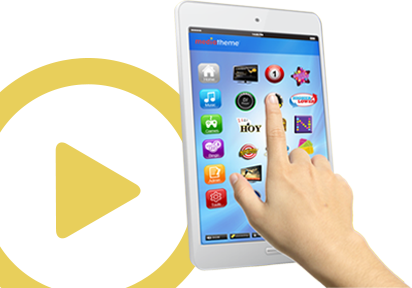 Its’ easy-to-use touch screen provides instant access to a huge variety of features, allowing site operators and managers to take total control of entertainment, every day and night of the week. The Entertainer™ is popular in many types of venue: from pubs and clubs to hotels; from holiday parks to universities; and from sports and social clubs to cruise ships. 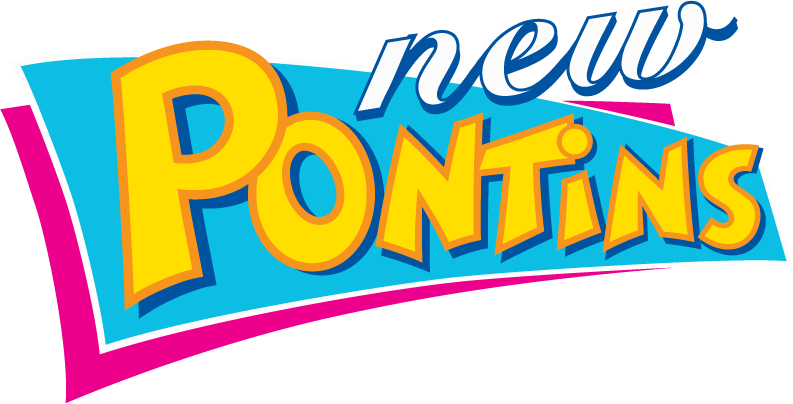 It’s crammed with music, videos, karaoke, bingo, racing, games, adverts, and many more features that encourage your customers to return time after time. The Entertainer™ contains a range of simple-to-use music features and draws from a catalogue of over 13,000 popular and classic tracks. You can tailor your background music for times of the day or particular occasions with Smart Play, cross-fade music and video tracks with Music Player. The Entertainer™ holds a massive repertoire of fully orchestrated modern and classic karaoke tracks. It’s simple to use. Tracks can be found easily and there are no discs to change over. You can choose pre-set rounds or make up your own. Select a difficulty rating and pick your rounds from nine different categories, with questions and answers displayed on your screens for all to see. +44 (0) 1572 771 363For any technical support problems, including hardware, software or installation problems, please contact the Support Team.